On 9th February 2019, Prof. Dr. med. Werner Wenz passed away at his home at the age of 92, surrounded by his family. Werner Wenz was born in Limburg on 18th March 1926. His first steps in the field of medicine were shaped during the last two years of the war, as he was immediately enlisted to the Labour Service and Air Force. After his captivity and internment, Werner Wenz was able to resume his studies at the University of Mainz in 1947, completing them with a state examination and doctorate in 1951. In 1952, he moved from post-war Germany to the Department of Pathology at the University of Zurich, where he studied under the guidance of Professor von Meyenburg. He remained in Zurich for another year to acquire the foundations of his training in radiology from Professor H.R. Schinz, a leading figure of radiology at the time. Upon his return to Germany, he carried out his surgical training until 1958 under the guidance of Professor K.H. Bauer at the University of Heidelberg. His prior knowledge of radiology, after completing his doctorate and training in Switzerland, ultimately led to his appointment as Head of the Department of Radiology within the university’s surgical clinic. During this time, the promotion of catheter angiography based on the Swedish prototype was underway and Werner Wenz pioneered the field of visceral angiography in Germany. The book, “Abdominal Angiography”, which was written during this time, was an illustration of the emerging discipline of radiology, until the development of cross-sectional diagnostic imaging. Ultimately, the expertise mastered in the application of the catheter were subsequently extended to include therapeutic measures. 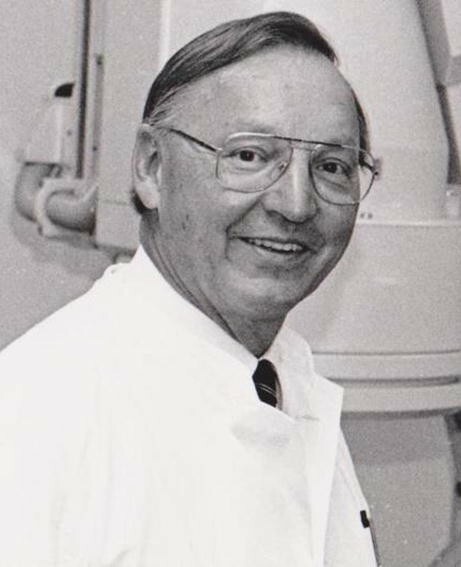 As such, Werner Wenz paved the way for interventional radiology and equipped his students with a sophisticated method of handling the radiological remote-controlled catheter. In 1972, he was appointed Chair of Radiology at the University of Freiburg. As director of the Institute of Diagnostic Radiology, he established an exemplary “diagnostic radiology” department and, in doing so, consolidated all major and minor fields of study, as well as important scientific resources. Moreover, he was a key figure in the creation of a Professorship of Physics “MRI” with Professor Hennig, which, still to this day, represents the enormous scientific importance of radiology in Freiburg. Both measures, not only served as an inspiration for other university establishments, but also directly came to fruition alongside the far-reaching scientific achievements of his department, which contained a respectable total figure of twenty-one postdoctoral lecturers. When he retired in 1992, Werner Wenz was able to look back on an astonishing list of publications from his time in Heidelberg and Freiburg. Over 350 publications, seven textbooks and twenty-one book chapters lay testament to this. 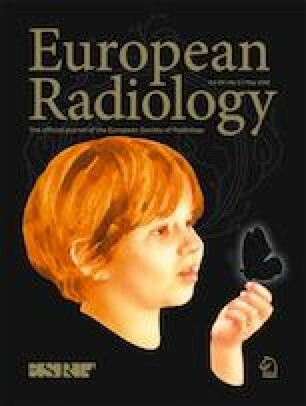 Werner Wenz was, therefore, an internationally, as well as nationally, renowned scientist in the fields of angiography and interventional radiology, contributing enormously to the centralisation of radiology at a university level. Numerous professors, chief physicians and radiologists can be found among his former students. His life’s work has received many honours, including the Holthusen Ring, the Hermann Rieder Medal, the Schinz Medal of the Swiss Radiology Society, the Boris Rajewsky Medal of the European Association of Radiology (EAR) and the Golden Medal of the European Society of Radiology (ESR), the honorary membership of the Japan Radiological Society and more from various European societies, including the German Radiological Society. Additionally, Werner Wenz was co-founder of the Japanese-German Scientific Club, which was conceived in 1979 on the occasion of the European Radiology Congress in Hamburg. Under his aegis, this organisation, the “Japanese-German Radiological Affiliation”, became a permanent institution in which German radiologists of diagnostic radiology, radiotherapy and nuclear medicine met amicably with their Japanese colleagues bi-annually, alternating between Japan and Germany. These scientific conferences made the creation of solid scientific and personal connections between Japan and Germany possible. Werner Wenz was an inspirational mentor. His clinical-radiological lectures in Heidelberg and Freiburg were of famously notable interest and represented a fine lesson in the art of didactics. During a time when relations between Germany and France were still not fully healed, he initiated a biannual, trilateral convention between the Universities of Strasbourg, Basel and Freiburg to serve as a forum for radiologists, in particular young members. As dean and vice-rector of the University of Freiburg, he devoted himself for many years to the university’s self-administration. Towards his students and colleagues, Werner Wenz was a warm-hearted and philanthropic leader, a fatherly friend and mentor, and, at the same time, a doctor who acted as an exemplary role model. It is with immense gratitude that his students and closest colleagues pay their respects to both his life and his long-standing, faithful devotion. On behalf of his students and colleagues: Prof. Dr. med. G. W. Kauffmann, formerly of the University of Heidelberg; Prof. Dr. med. W. Rau, formerly of the University of Giessen and Prof. Dr. rer. nat. Dr. h.c. J. Hennig, University of Freiburg, Radiology Clinic Medical Physics.